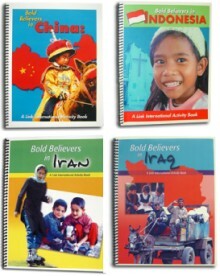 Bold Believers (NZ) (AUS) (USA). Includes many other titles. 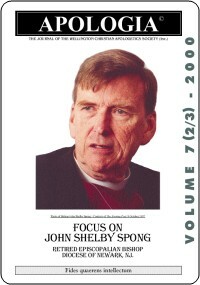 What's Wrong with Bishop Spong? 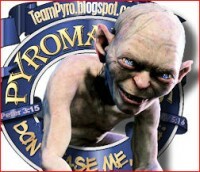 Download the complete 139 page PDF free from here. (File size ~2MB). My Daddy's Name is Donor? The Earth is Flat - Yeah Right! It is He who sits above the circle of the earth, And its inhabitants are like grasshoppers, Who stretches out the heavens like a curtain, And spreads them out like a tent to dwell in. (See The Flat Earth Myth). In his October 9, 1740 journal entry, Whitefield reflected on a sermon he had preached in Boston's Old South Church. He said: "The Lord enabled me to open my mouth boldly against the unconverted ministers; for, I am persuaded, the generality of preachers talk of an unknown and unfelt Christ. The reason why congregations have been so dead is they had dead men preaching to them. O that the Lord may quicken and revive them! How can dead men beget living children?" A review of the film by a Baylor Professor. I attended a screening of EXPELLED: NO INTELLIGENCE ALLOWED yesterday in Dallas. We got struck in traffic, and arrived about twenty minutes into the picture. It was still wonderful. My son Joshua, a business major at Baylor, and Charley, my long time retired air force father in law, came too. On about three hours each of sleep the previous night, we watched the movie with unwavering interest. Wow. I want everybody to see this important film. I now know where I will do my Christmas shopping. John Sullivan, one of the movie’s producers, said EXPELLED will open on about a thousand screens in February. This is about the same number of screens for Michael Moore’s last documentary.There is sooooo much great stuff in this movie. Here are some bullets. 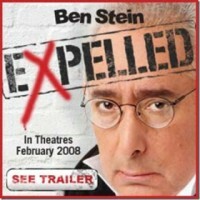 Like many great movies do, EXPELLED takes you on a roller coaster from belly laughs about some of the ridiculousness of Scientism, to anger at the manner Scientism treats good people, to alarm that atheism is being forced down our throats by the Academy, to hope that this problem can be corrected, and back to a belly laugh at one of Ben Stein’s quips. There are great animations of the inside workings of a cell. I’m not a biologist, but seeing this as an engineer invariably causes my jaw to drop. The contribution of Darwinism to Nazi atrocities was addressed. This could have been over the top – but came off well. Parallel quotes from Hitler and Darwin were appropriately tempered by Berlinski saying something like “Of course Darwinism does not always lead to Nazism. It is, though, a necessary albeit not sufficient component.” There was a chilling visit to a Nazi “hospital” where the “unfit” were gassed by Hitler’s cult. The contribution of the euthanasia movement to the founding of Planned Parenthood was identified. Old B&W movie clips were sprinkled throughout the film. One showed a 1950’s middle school bully (Big Science) sitting on the stomach of a victim (ID proponent) pinning his arms back. The bully boy keeps saying “OK. Now you’re on our side. Say you’re on our side!” It was hilarious. There are also a bunch of short custom animated cartoons. One is an animation of Richard Dawkins frustrated at the low probabilities emanating from a bank of slot machines. The audience roared. There is plenty for the cerebral from both the scientific and political perspective. Dr. Richard von Sternberg, Dr. Doug Axe, Dr. Guillermo Gonzalez, Dr. William Dembski, Dr. Jonathan Wells, Dr. Walter Bradley, Dr. Alister McGrath, Dr. Stephen Myer, Dr. Carolyn Crocker, Dr. David Berlinski, Dr. John Polkinghorn and yours truly were on screen. (I KNOW I’m missing some. Sorry.) Doug Axe and Stephen Myer did a lot of the heavy lifting concerning biology. Here’s a teaser. How do Michael Ruse and Richard Dawkins explain the origin of life? Be prepared to grin. I am reminded of Richard Feynman’s explanation of all that is bogus: The closer you look, the more it goes away. The Berlin wall is used as a metaphor for the divide between ID and the Academy. On one side of the wall are researchers who are required to conform to an ideology in order to get funding and tenure. Near the end of the movie, there is a back and forth between Reagan’s “tear down this wall” speech and Ben Stein giving an speech on academic freedom. (a part of Ben Stein’s speech is in the EXPELLED Teaser Trailer.) I admit getting a wonderful shiver. This is the ice berg tip. There is so much wonderful stuff in the movie. Co-Producer Mark Mathis said there are a lot of fantastic scenes that could not be included in the movie. When the EXPELLED DVD is released, there will be a second DVD with these extras. This takes care of my Christmas shopping for next year. 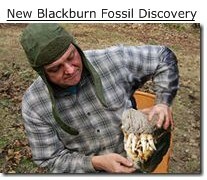 The jaws of Blackburn Woman are large, suggesting a propensity for perpetual nagging. Listen to the MP3 (60 seconds).